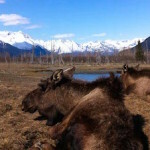 The chance to see a moose wading in the marsh, a muskrat swimming by or poking his head from the water, or even the spawning of chinook, coho, or humpback salmon in Rabbit Creek: this is what you can see along the 1,550-foot wooden boardwalk that offers a panoramic view of Turnagain Arm. ITWPA Member Marsha Wassel explores Adventure Green Alaska certified business, which promote specific standards of economic, environmental, social, and cultural sustainability. Welcome to Anchorage, Alaska, the largest city in the Last Frontier! Anchorage is tucked between the Chugiak Mountains and the Cook Inlet, creating a unique mix of city and wilderness all in one location. You can be wandering the exhibits of the Anchorage Museum in the morning, hiking in the mountains in the afternoon, and dining at a five-star restaurant that evening. Moose and eagles are a common sight in the city and sightings of Mt. McKinley (a.k.a. Denali) are not unheard of. Whether you are starting or ending your trip here, or just passing through, Anchorage needs a day or two of exploring. 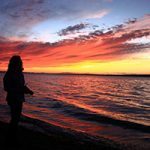 Here are five must do’s when visiting Anchorage.